We also cut out paper feathers and leave them with some pens in the dining room. 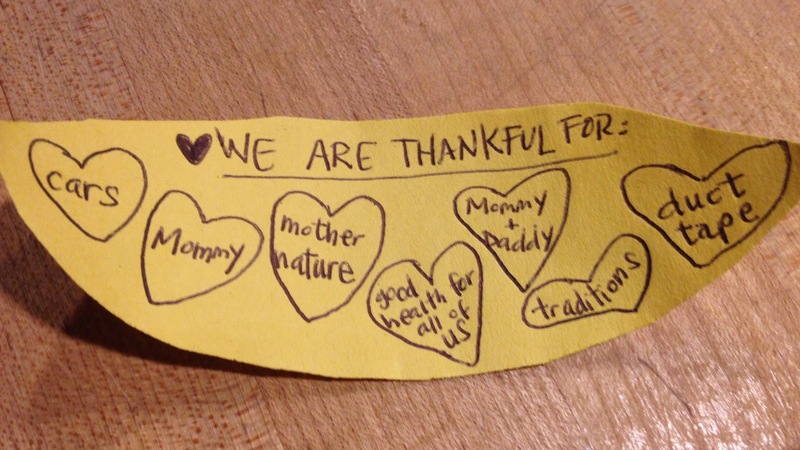 After dinner, we write things we're thankful for and then stick the feathers to the turkey. 1. Carrots. This guy just LOVES his carrots. "I am thankful for carrots because I can snap them loud." 2. Every one my youngest has dictated for someone else to write for her. She starts off each one with, "I'm thank you for . 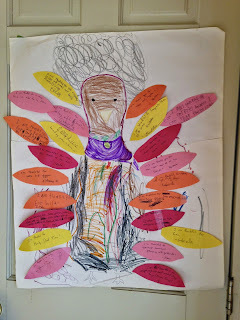 . ."
"I'm thankful for family games" "I am thankful for family games at dinner time" "I am thankful for fun family games"
4. He may or may not be talking about me, but I like this one that Daddy-O wrote either way. 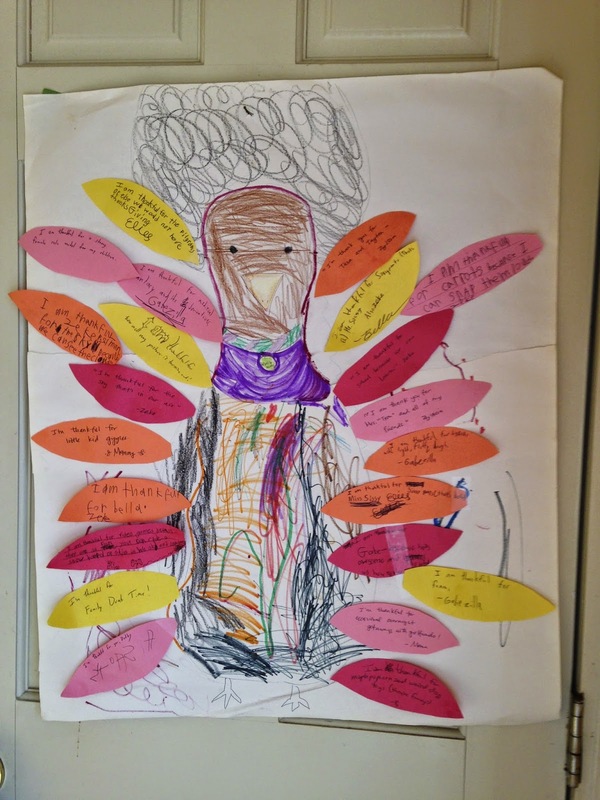 "I am thankful for a strong female role model for my children"